The BMTC will also look into appointing security guards at different bus stations who will secure the screens from any theft. “After installing the screens we do not want it to be stolen. So we will deploy security guards at every station who will look after the screens. As many petty thefts keep taking place, we are taking this step as a precautionary measure,” said a BMTC senior official. In addition, BMTC is also looking into improving the quality and accuracy of the display, in two languages, English and Kannada. 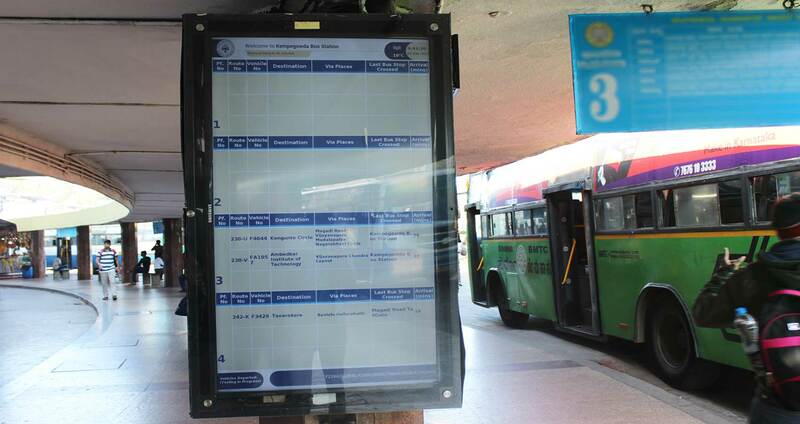 However, the BMTC has not invested in installing these screens. They have associated with contractors who will install the screens and display their advertisements after the Estimated Time of Arrival (ETA) is displayed. The contractor will pay Rs 4230 per month to the BMTC for each board.